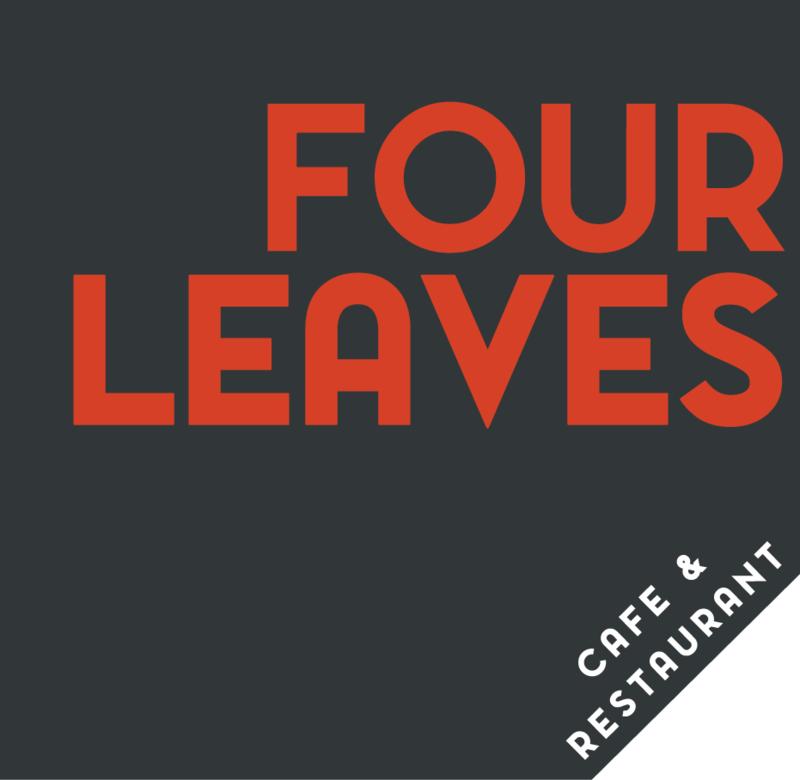 Four Leaves is the creative enterprise of New York-trained Chef Rodney Van Oirschot, and specialises in contemporary cuisine made with seasonal produce. The menu offers modern and classic favourites. Wood-fired pizza provides taste of authentic thin crust pizza topped with quality ingredients. 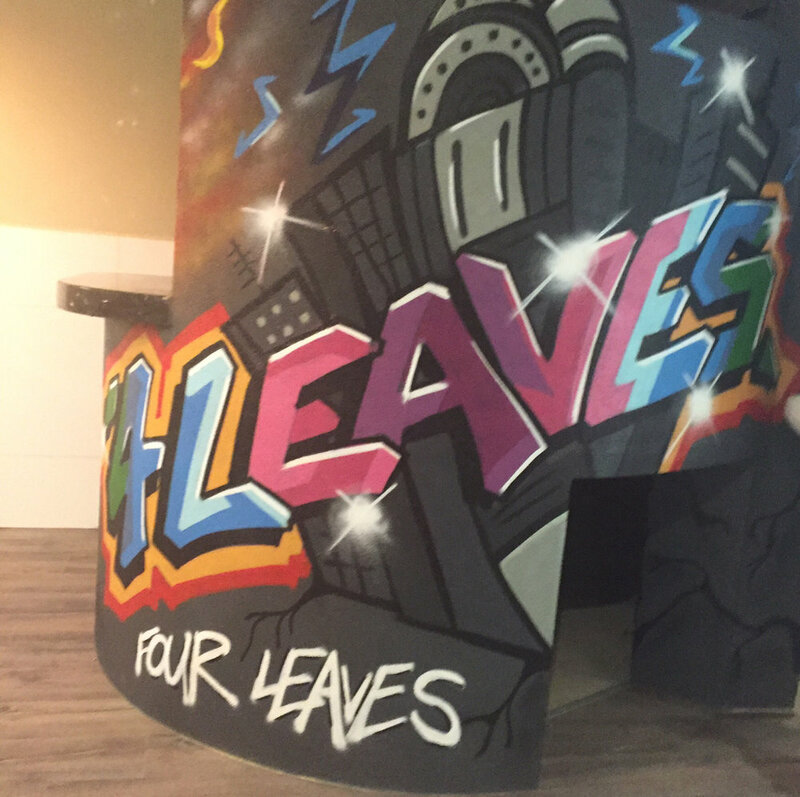 Four Leaves welcomes diners for brunch, lunch and dinner offering diners a relaxed, warm interior with recycled timber features. Partake of coffee & paninis, juicy pork belly or a New York-style hamburger and craft beer, or sample Rodney's signature southern fried chicken waffles - just to name a few of the delicious menu choices available. Eggs, bacon, grilled tomato, spinach, beans, chorizo, hash brown, mushrooms, toast. w/ goji berries, chia seeds, apple, coconut milk + seasonal fruit. Buttermilk soaked chicken dusted in herbs & spices topped w/ chipotle mayo, slaw, brioche bun. w/ avocado, black beans, cheddar cheese, jalapeno tomato salsa & chipotle mayo. Slow roasted lamb w/ black beans, roasted capsicum, harissa spiced yoghurt, cucumber & lettuce. Homemade lasagna served with beer battered chips and salad. w/ Southern fried chicken tender, crispy bacon & smoked jalapeno maple. Five spice calamari served w/ chips & slaw. New York style sandwich on toasted rye with our own corned brisket, sauerkraut, Swiss cheese, dillpickle & served with beer battered chips. Beer battered flathead served with chips, salad & tartare sauce. Toast w/ Vegemite, jam or Nutella. Served w/ icecream & syrup. Crispy nuggets served with beer battered chips. Flathead fillets served with beer battered chips. Chicken tenders grilled or fried served with beer battered chips. Chocolate, strawberry, vanilla, lime, banana, caramel, blue heaven.